Robert J. Dunne joined the firm as an associate in 2012. He is a graduate of the University of Connecticut (B.S. Political Science, 1990) and Quinnipiac University School of Law (J.D., 1997). 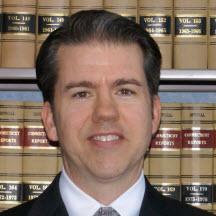 Attorney Dunne is a trial lawyer primarily practicing personal injury litigation. Other areas of practice include workers compensation, family law and criminal law. He is a member of the Connecticut Trial Lawyers Association and Connecticut Bar Association. Attorney Dunne is admitted to practice in Connecticut, New York and the U.S. District Court of New York, Eastern District. In his spare time, he enjoys mentoring high school students and young adults. He has traveled extensively overseas where he has performed humanitarian work helping to build homes, assist in disaster relief and working with orphans and the elderly. Attorney Dunne also assisted families with rebuilding efforts in Louisiana following hurricane Katrina. U.S. District Court, Eastern District of N.Y.